From Barry Ritholtz at Big Picture. Note the red portion is Steve’s projection and not based on actual data. I think it’s a reasonable projection. House prices nationwide are still too high compared to historical norms. Of course, things may be different in your neighborhood. 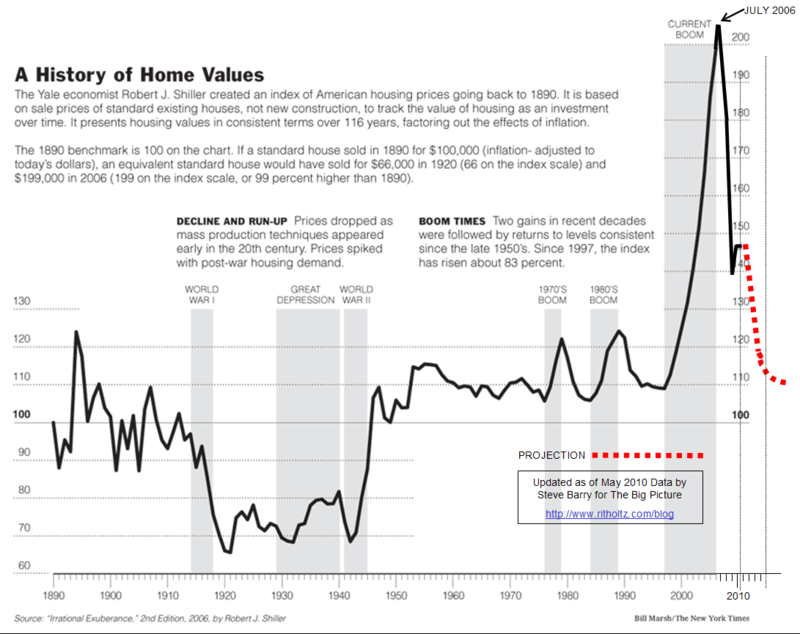 I asked Steve to update Shiller’s NYT chart, now that much of the government intervention has run its course. There is still massive Federal Reserve subsidies in the form of record low rates. But the short term bounce caused by HAMP, Foreclosure abatements and first time home buyers tax credits are mostly over.